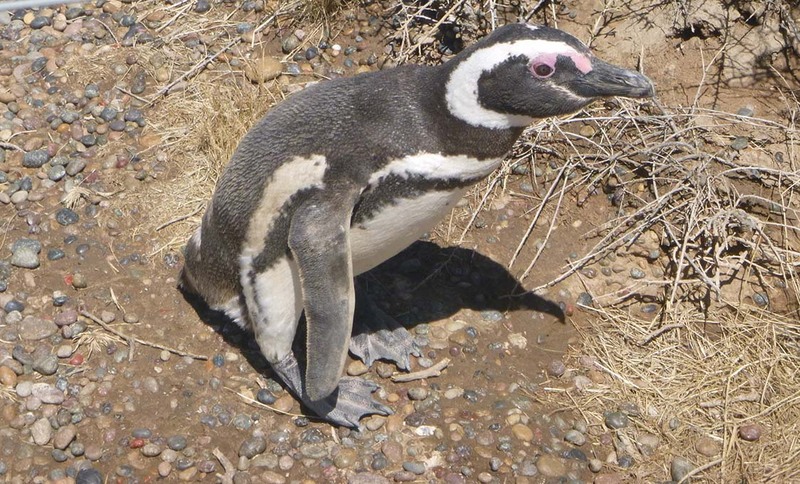 Visiting a penguin rookery is an amazing adventure!The closest I’ve ever come to seeing a live penguin is looking at a photo in a book, so I jumped at the chance to visit a penguin colony on a shore excursion during a cruise around South America. 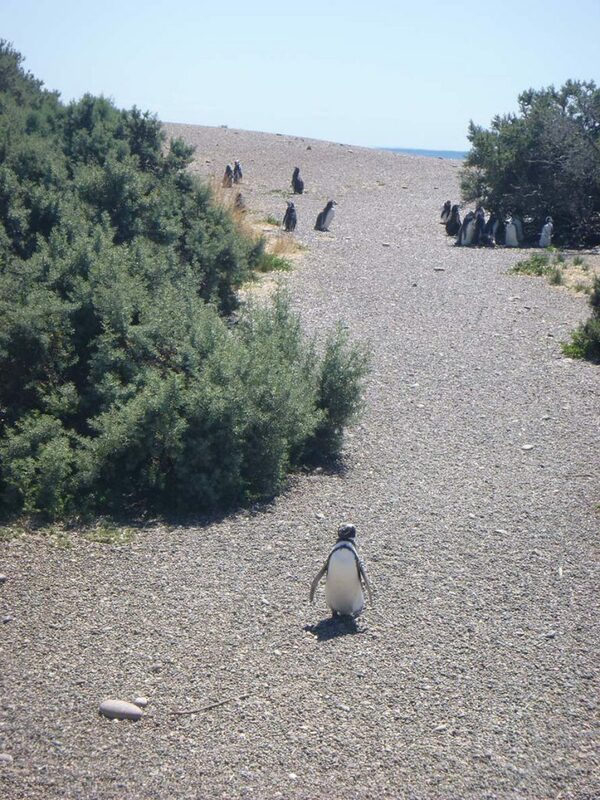 To get there, we took a three-hour bus trip (one way) from Puerto Madryn to the Punta Tombo National Reserve in Argentina’s Patagonia region, located on Golfo Nuevo, a large bay of the Atlantic Ocean. 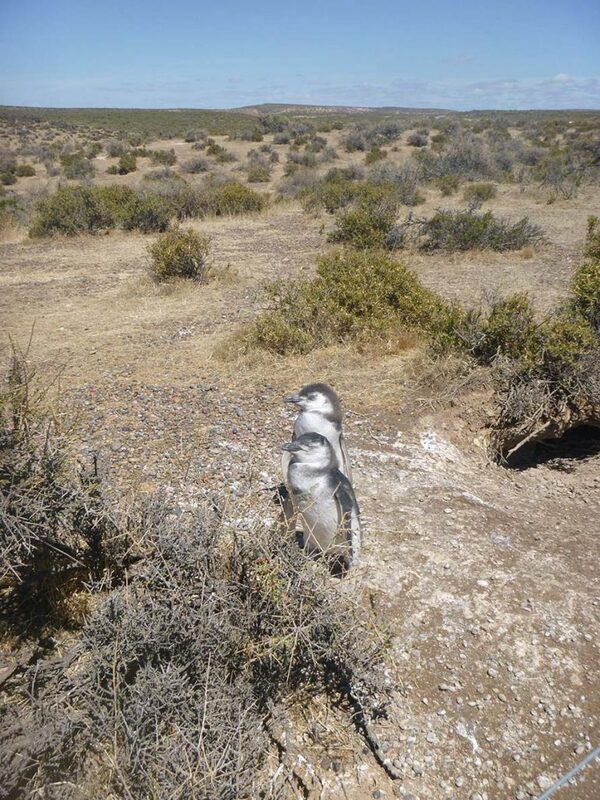 It’s part of a UNESCO World Heritage site in the Valdes Peninsula that houses the world’s largest nesting colony for Magellanic penguins. For starters, the ride through Patagonia wasn’t what I expected: it was a vast, desert-like wasteland with scrubby plants and weeds (I’d pictured something a lot more scenic). The tour guide pointed out small herds of guanacos — a deer-like animal that lives only in South America. And the rookery also wasn’t what I expected. 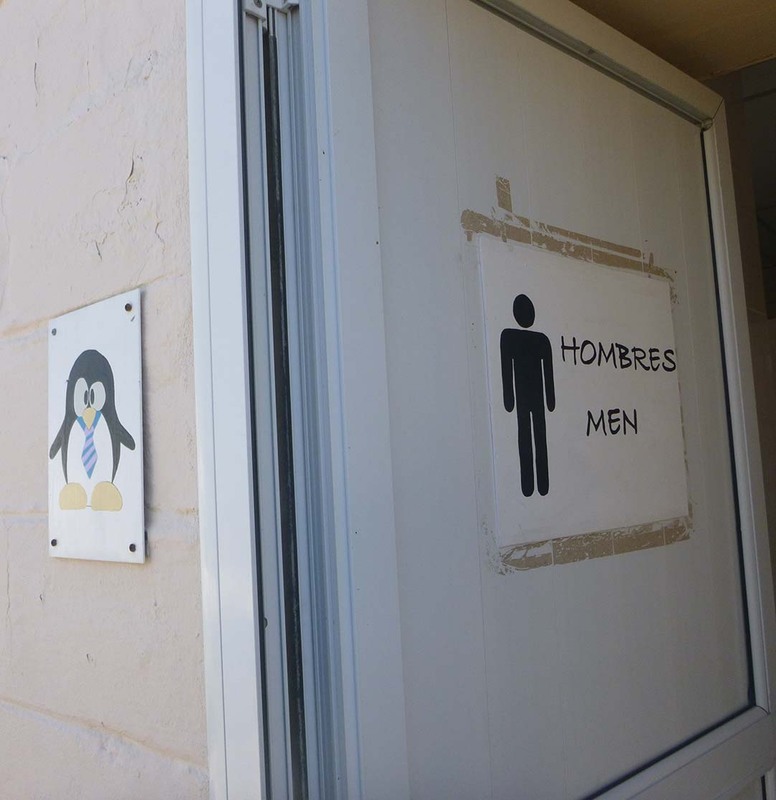 I thought it would be like a zoo controlled by humans who tend to the animals, but that wasn’t the case. 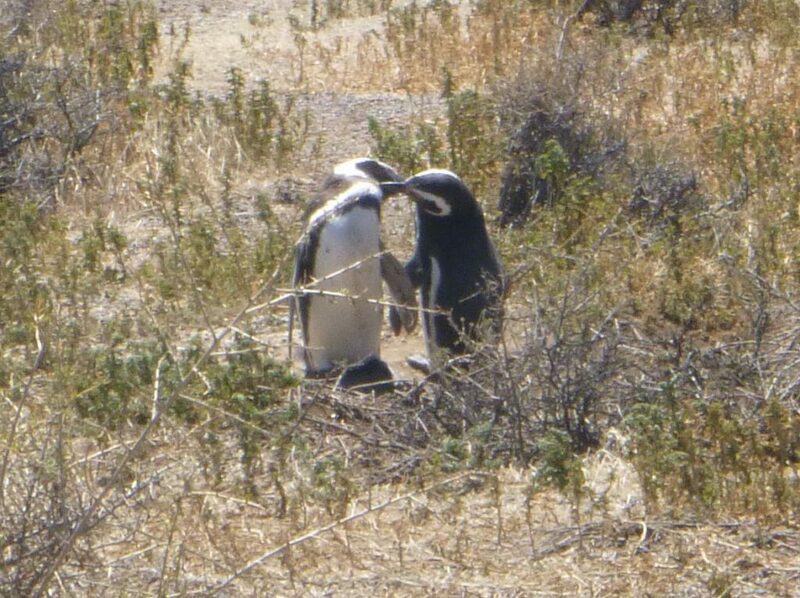 It’s simply a protected refuge for penguins, where they mate, nest, raise their chicks and do their own thing in their natural habitat — and it’s staffed by park rangers. When we got off the bus, we followed a dirt path through a desert-like area (another myth buster: I expected snow and ice like penguins in the movies!) 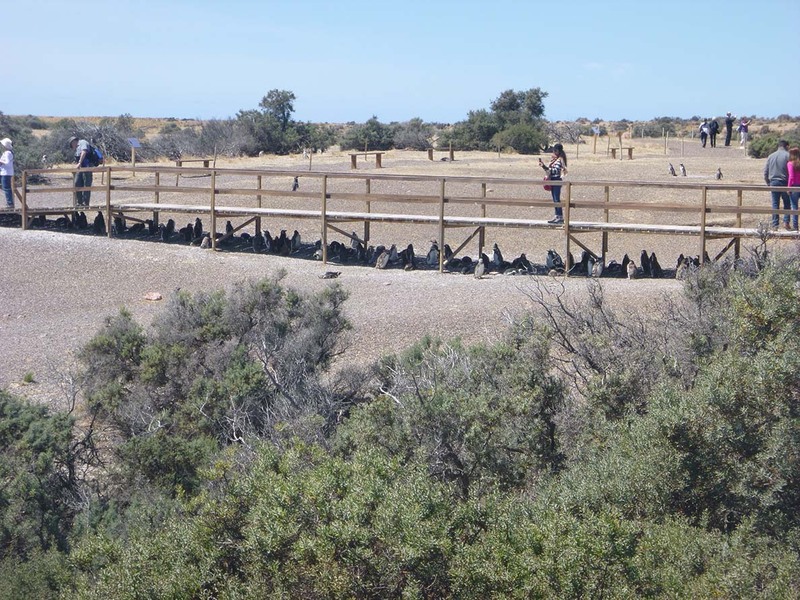 and then followed a wooden walkway. 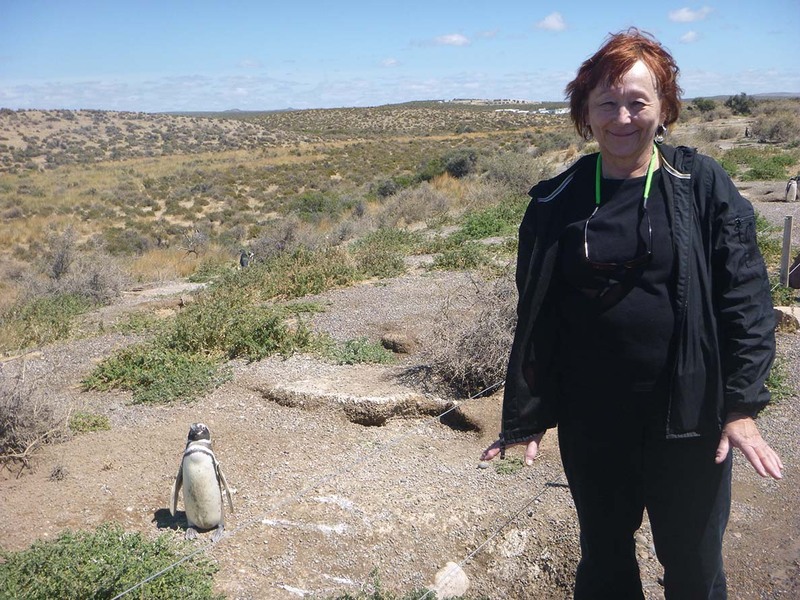 A two-foot-high roped fence on the edge of the walkway was the only thing between tourists and members of the huge penguin colony. 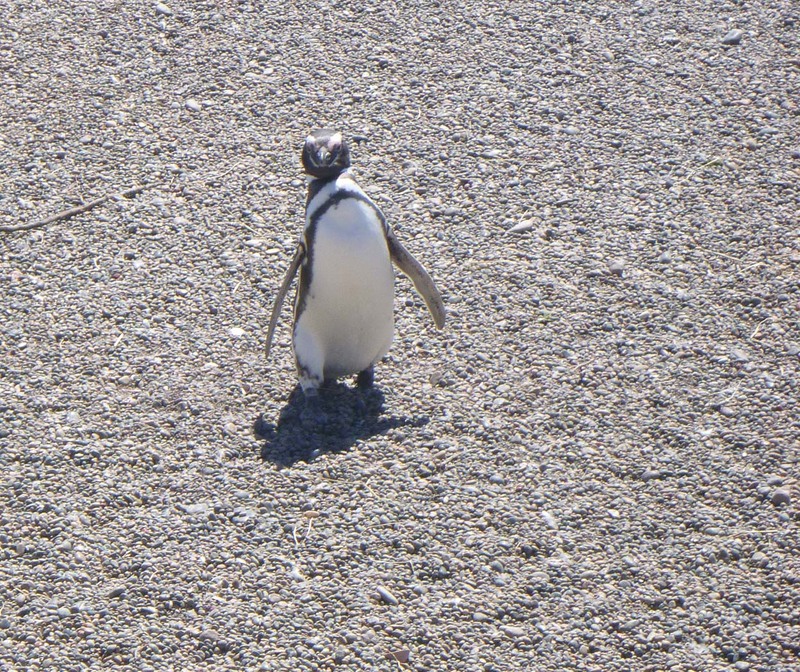 As we walked, we saw single penguins, couples, mothers and babies and groups, standing still and walking around. A lot of them were standing or lying in burrows they dug in the ground (another surprise), and some of the nests were nearly hidden under scruffy bushes. They communicated with each other using a soft cooing or chirping sound. 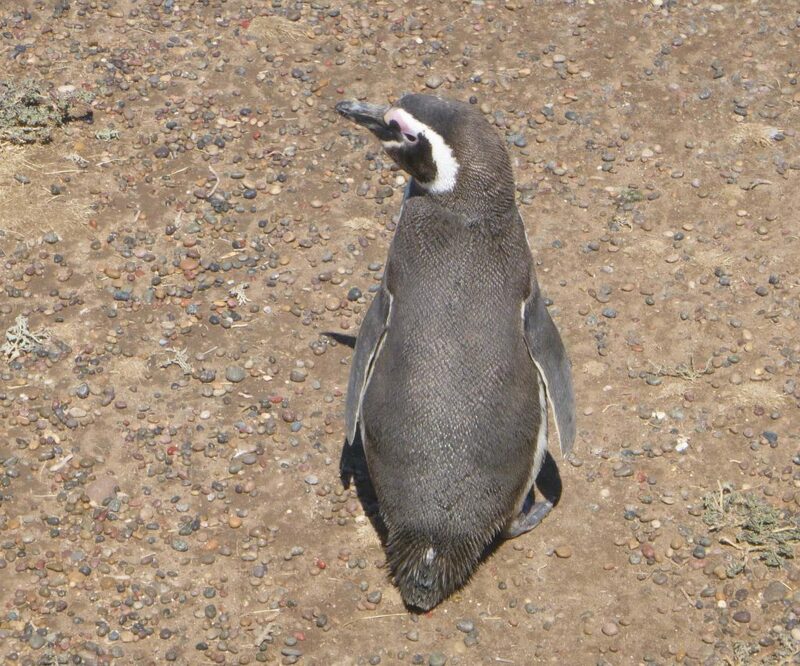 Although they were stinky (like the smell of a sea lion colony), the penguins were adorable — especially when they ruffled their feathers and waddled around (that was just like the movies)! The further we walked, the larger the penguin population grew. At one point, we saw about a hundred penguins in the sand under the wooden boardwalk. 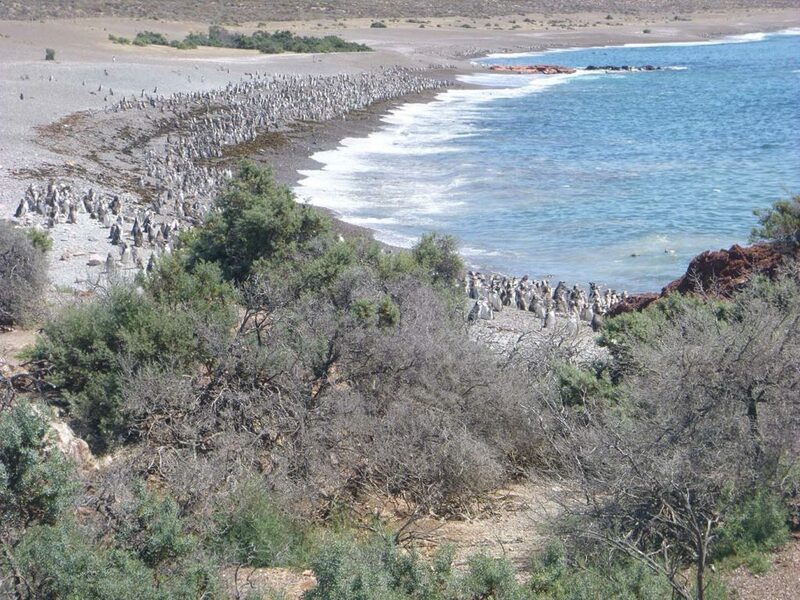 When the boardwalk ended at a scenic outlook, we saw the most incredible thing — hundreds of penguins lined up on the shore near the water, facing the sea. It was one of the coolest things I’ve ever seen! Before boarding the bus for the three-hour ride back, we got to stop in a gift shop for 10 minutes, where I bought a small stuffed penguin as a souvenir from our penguin adventure; it makes me smile every time I see it. 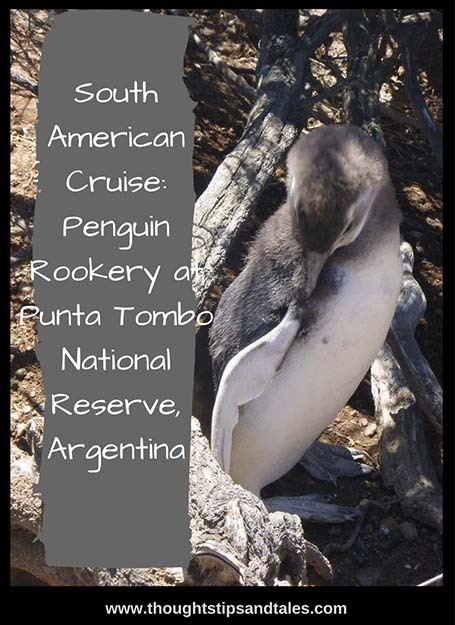 This entry was posted in South America cruise, travel and tagged Patagonia, penguin rookery, penguins, South America, South America cruise. Bookmark the permalink. So glad you got to see all of this.